We asked the lads from Rixton some quick-fire questions. Check out the answers now! 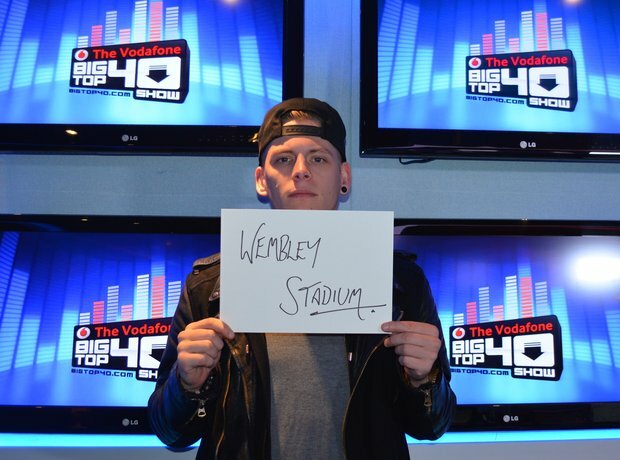 WEMBLEY STADIUM! Rixton played the historic venue when they were on the bill for Capital's 2014 Summertime Ball. What a rush that would have been. Danny's favourite video is 'Maps' by Maroon 5. Looks like the Rixton lads have a pretty good taste in music! Charley's favourite track comes from the Dutch DJ duo Nico & Vinz who went No.1 earlier on in the year with 'Am I Wrong'. We think Jake needs to give us a rendition of The Proclaimers 'I'm Gonna Be (500 Miles)' the next time we see him!